Underwater modular vehicle platform for inspection, measurement and operation. 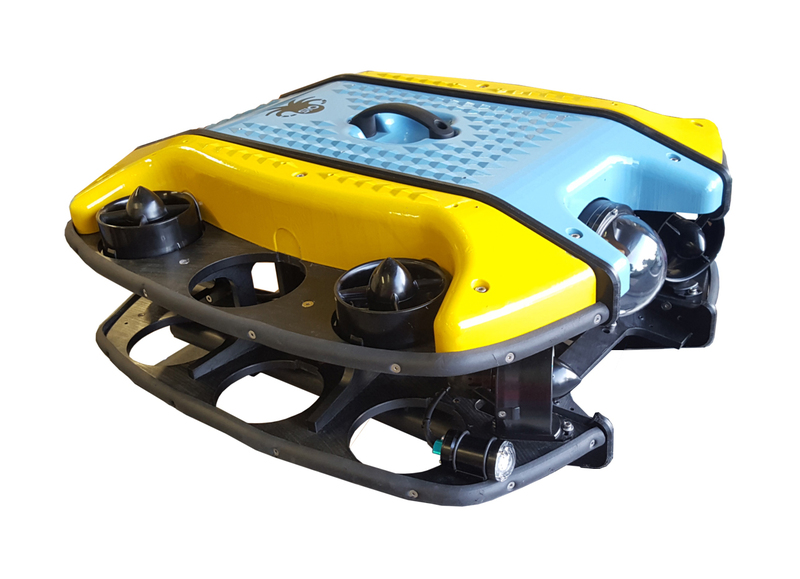 The S-ROV is a configurable and upgradable platform for underwater inspection, measurement and operation. The ready to add technological bricks create tailored solutions for a wide range of customer needs in plug and play mode. Professional grade hub for integration and combination of a wide range of modules and sensors, from TMI-Orion or third parties. Easy combination of up to 8 thrusters for power demanding applications. 1 front camera and 1 rear camera, with full HD IP video and real time transmission to the Surface Control Unit. Embedded battery pack with on the fly recharge capabilities. Click here to discover the S-ROV in a video from the Institut Marin du Seaquarium of Grau-du-Roi, France (in French).